Mark Lastrada Planair Entertainment Ltd.
Johnathan Smith Jonathan Smith Prods. Marcus Flemmings The Conversations Film Ltd.
Dave Manning Gatwick Gangsters Prod. Film (Short) I am Zombie! Kenan Hudaverdi Saving Lives Prod. Commercial Car Commercial, Cannes comp. Film (Short) The Wheel Turner. Lucien Morgan comes off well as Karenin, the rich husband of Anna.This is probably the best part in the play and Victor showed some wisdom in allowing it to be played by an actor with some kind of background. 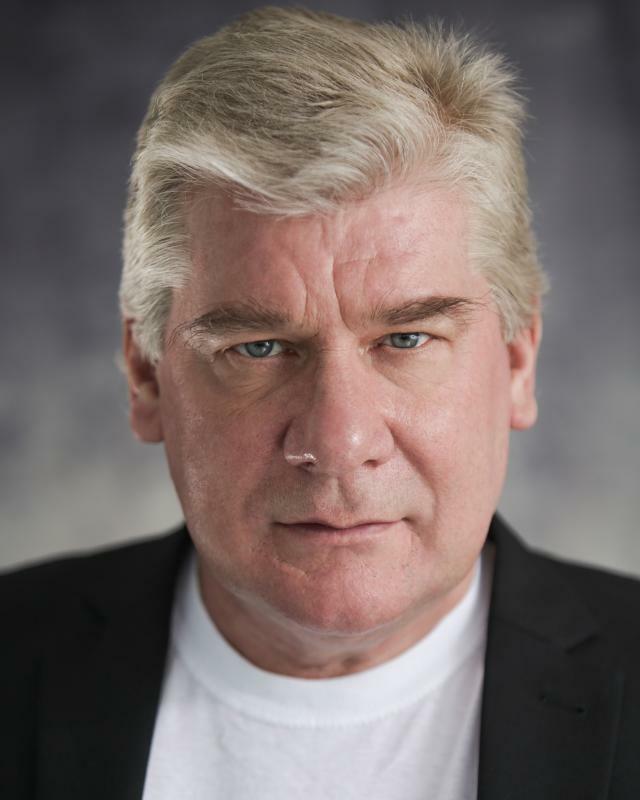 "Lucien is a fully involved professional actor and an absolute pleasure to work with. He is able to bring character to life and suggest some interesting perspectives that add richness to the film. Moreover, he is a very reliable person what I believe is a vital aspect of the film production." "I'm a young director and I've worked with Lucien last year. He acted the part of an American news anchor. He was pro-active and very keen on his craft. He showed up prepared and motivated, his American accent was believable and good. Furthermore, for Lucien, collaboration is a key part of the process and he very much seeks creative relationships based on trust and truth. He is a team player and very much listens to direction. "Lucien was great to work with, he was very professional, punctual to the set and was flexible in the scenes we shot with him." "Lucien Morgan injected a touch of lightness to a potentially angst ridden play by his humorous strong and naturalistic portrayal of Colonel Triletski. He brought delight, dressing as if he was the Duke of Milan, with all the suave charm of an Italian aristocrat. In cashmere and white trousers, he strangely made the elegant KGB Colonel totally believable." The audience are also treated to many excellent supporting performances, such as Lucien Morgan's Freddie. "Lucien Morgan (referred to as 'The English Marlon Brando') played Alexander Serebryakov, a retired Professor in Chekhov's 'Uncle Vanya' at the Lord Stanley Theatre.... His stage presence never disappoints"
"I particularly enjoyed the scenes between Khurvinder Ghir and Lucien Morgan. Lucien's portrayal of the bemused Welsh Police Officer had perfect comic timing. ".......however, the scenes between Linnea Quigley, the Russian lady mobster boss, and Lucien Morgan, the English Marlon Brando, playing the police inspector, were hauntingly enthralling. Lucien Morgan's performance was mesmerising. This film is destined to be a horror classic, but I don't know why." "As the conservationist 'Wood Demon' Lucien Morgan demonstrates a mastery of elocution akin to that of Richard Griffiths." ".....Lucien Morgan who was obviously a very experienced Shakespearian actor playing Antigonus"
"In stark contrast to the prevailing angst, the star of the play was Lucien Morgan as Count Shabelsky, who with perfect comic timing, combined with his elegance and charm, totally delighted the audience by his vibrant stage presence and gave the show a much appreciated lift"
"In support, the comedy is under served but Lucien Morgan as Shabelsky, is great fun as a suavely camp, naughty uncle and John Irvine's Borkin has a roguish twinkle in his eye." "Some of the other acting is more erratic, but Lucien Morgan's amiable Gaev contributes a welcome vein of comedy, feeding vodka to his duck-handled walking stick and making it quack at his nieces as they tell him to talk less." "Lucien Morgan plays a cordial King Theseus"
"Indeed, Lucien, Harrison Ford lookalike, one of the foremost theatre actors of his generation, supplied fedora, scarf and monocle for an extraordinary performance as a harried cop chasing a serial killer - remember, this is a good seven years before Fincher's 'Zodiac', and I'll bet Jake Googlegall didn't supply HIS own costume. That's devotion." I have a passion for work, acting in Theatre, Television and Films. The most important life changing experiences I have had have been the priviledge of being trained by the legendary drama teacher, Doreen Cannon at her Studio in Uta Hagen's acting system,and extensive acting training at The Herbert Berghoff Studio in New York. Also I have taken extensive classes in Stella Adler's acting technique. I love European Films and have made several in France, Germany and Greece. I was John Barton's assistant on several plays during the 77'season at The Royal Shakespeare Company Also I worked on Franco Zeffirelli's Hamlet as an Assistant Director. I have produced numerous plays including The Winters Tale,and Ibsen's The Wild Duck, and have been assistant director on many others plays, including Pirandello's Six Characters in Search of an Author and Uncle Vanya for Theatre Collection. I have directed Television programmes and Radio Drama and I am a producer at Thoughtjuice Films. Also I have Presented for Radio and TV including 'The Lucien Zone' for Live TV. Dreams analyst for BBC Radio 5, BBC Radio Scotland and Talk UK. I am author of the book 'Dreams and Symbols' published UK and USA 1996. I teach classes in Constantin Stanislavski's /Uta Hagan's system of acting at "Scene To Screen" Studio "
Also I have presented group classes in learning the art of Self Hypnosis and given courses in Hypnodrama. I enjoy playing psychiatrists for which I am often cast. I am a Professional Association of Scuba Diving Insructors Dive Master, Deep Diver Certification and First Emergency Response instructor. The protection of the marine environment is very important to me and I have lectured internationally on the preservation of marine life, reefs, marine parks etc. I have Royal Yatching Acccociation certification in both Sailing and Powerboat 1 and 2 . I have worked on many films riding horses. I have showjumping, dressage and polo playing experience as well as both Western and European Style of riding. foil, epee and sabre by William Hobbs. (High competition standard in sabre). I had the priviledge of being part of wonderful Ken Campbell's Warp Company and part of the training was to learn ventriloquisim.I have a strong friendship with my raccoon Chekhov who can be very rude. I studied painting at Hampstead School of Art and create abstact pictures, most often in the 'post painterly' style. I enjoy Yatching , Speedboats , country walking and writing screeplays. I was a past Executive Council member of the London Screenwriters Workshop, presenting seminars on the Art of Screenwriting. Options sold on my own sceenplays and stage adaptations produced.